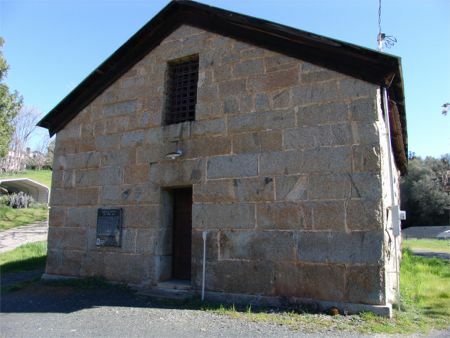 nly 33' x 26' large, the original jail, built in 1858 from granite blocks, had two stories and a gallows at the east end. However, in 1892 a fire gutted the building taking the life of its only occupant and it was reconstructed without the upper story. 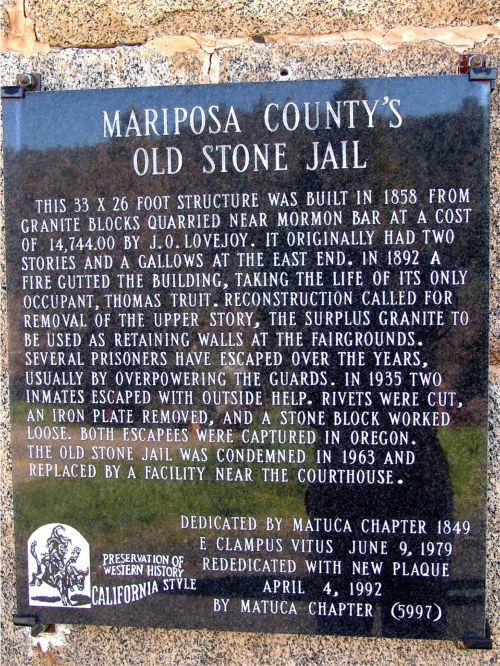 Visitors to the jail will note that the jail sports windows which contain only bars and no glass, while the interior contains no fireplace or woodstove for heat.